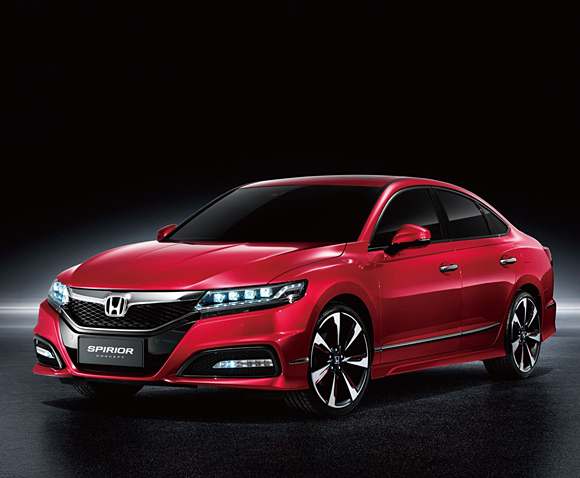 Dongfeng Honda Automobile Co., Ltd., Honda's automobile production and sales joint venture company in China, today unveiled a concept model for the all-new Spirior. Since it was first introduced in 2009, the Spirior has been providing the joy of driving with its advanced technologies and has been well received primarily by younger customers in urban areas who pursue individuality. The all-new Spirior achieved significant advancements in exterior design, dynamic performance and technologies as well as safety features. With this individualistic and fun-to-drive model, Honda will strive to set a new benchmark in the sporty sedan category. The market introduction of new Spirior is scheduled before the end of this year.